ConnectIt-Workflow QuoteWerks Validation Module manages entries on a QuoteWerks document to ensure that the QuoteWerks user has entered all the required information at each step of document creation (Quote, Order and Invoice). ConnectIt-Workflow QuoteWerks Validation Module validates that the QuoteWerks user has entered required values into particular fields before the user is allowed to print, save, convert or email a document. When an error is detected, then depending on the level of that error, the user is either prompted and asked to correct the problem before they are allowed to continue, or they are just warned about the problem(s). 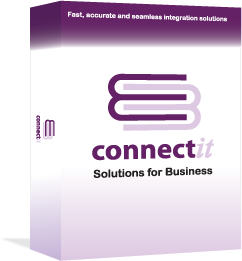 Ensures that your customers and suppliers get complete and consistent information. Maintains integrity of input to maximise the power and accuracy of QuoteWerks reporting which means more informed business decision making. Straightforward to install and set up with user-friendly configuration screens and lots of options so the fields you use can be checked meaning your company’s quoting and sales order processing functions become instantly more accurate and more productive. Validates fields based on the particular document type and document status. Contains many different rule expressions – that a field is not blank, that a fields value is in a particular range, that a fields value is one of a particular list of options, etc. Contains many different rule targets – Document Header fields, Document Item fields, first Document Item row, all Optional Document Item rows, etc. These online demonstrations illustrate how, using the ConnectIt-Workflow software, users’ entries on a QuoteWerks document can be checked at each step of the document creation to ensure that they adhere to the business process rules. This ensures that customers and suppliers receive complete and accurate information to minimise the need to resend documentation. Please click on the player and images below to view demonstration videos of the ConnectIt-Workflow Validation Module utility for QuoteWerks.